KWESE parent company, Econet Media (Mauritius), say it has nothing to do with the Supreme Court ruling against Dr Dish over the distribution of its content through Kwese TV to Zimbabwe viewers because they terminated all their agreements. The company notified the courts of its withdrawal from the agreements with Dr Dish, after it persisted with the lawsuit against the Broadcasting Authority of Zimbabwe. "Although Dr Dish had a content distribution agreement with Econet Media Mauritius, Econet Media Zimbabwe terminated all and any agreements with Dr Dish when it persisted with litigation against BAZ," an Econet Media spokesman said. "At the time that Econet Media Zimbabwe ended the relationship with Dr Dish, Econet Media Mauritius also terminated its content distribution agreement with Dr Dish. Econet duly notified the courts of its withdrawal from the agreement with Dr Dish." Econet Media was responding to The Herald article on the Supreme Court ruling in which BAZ won an appeal against a High Court decision allowing Dr Dish to distribute Econet Media Limited (Mauritius) content through Kwese TV to Zimbabwean viewers. "The article is referring to a recent Supreme Court judgment (Judgment No. SC62/18) in the case between the Broadcasting Authority of Zimbabwe and Dr Dish (Pvt) Ltd in which the court ruled that Dr Dish (Pvt) Ltd had failed to comply with the terms of a content distribution licence issued to it by BAZ when it tried to distribute content from Econet Media (Mauritius)," the spokesman said. Econet Media asserted that it had never been in any court in Zimbabwe against BAZ, and that its affiliate, Econet Media Zimbabwe, was properly licensed to distribute multimedia satellite content in Zimbabwe by the Government's licensing authority, BAZ. 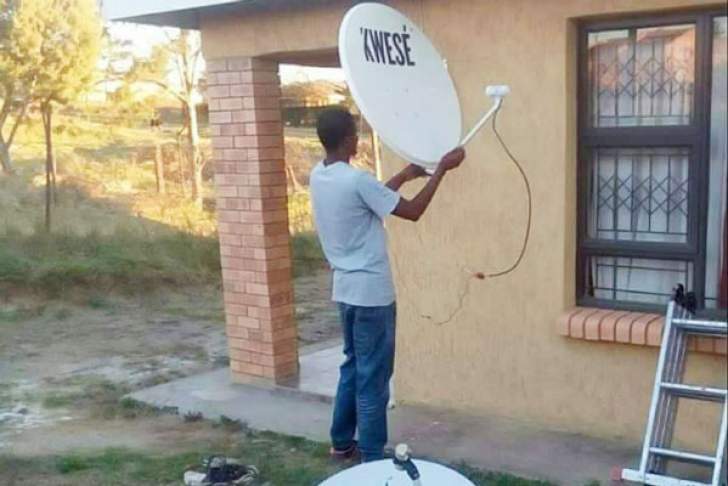 The Supreme Court ruled that Dr Dish could not distribute Econet Media (Mauritius) content through Kwesé TV satellite to Zimbabwean viewers because it failed to comply with the terms and conditions under which it was granted the licence. The ruling followed BAZ appeal challenging a High Court decision allowing Dr Dish to distribute Kwesé TV satellite content to Zimbabwean viewers. In its statement, Econet Media also denied that it had changed its business model and scaled down its DTH (satellite) service because of the Supreme Court ruling. "Nothing could be further from the truth," said the spokesman. "On observing global changes being driven by the internet, technology and globalisation, and their impact on business models, consumer preference and behaviour patterns, we have taken the strategic decision to refocus the business based on market trends. "All we have done is to de-emphasise our satellite service and redirect our efforts and resources towards a future-proof business model, which recognises the global shift by consumers towards connected digital services."